The human race has been infected by a strain of bacteria that was originally isolated in South America but has spread all over the world. The symptoms start with fever and vomit and eventually ends with the person in a coma. However, those who awake from that coma are those with incredible intelligence and they're soon able to see that they are in fact being ruled by higher beings that they thought only existed in fairy tales like demons and witches. Arthur Pyuty was a witch who ruled a kingdom under the guise of a human until the side effects of the bacteria revealed her true nature to humans and they started revolting. In fact, Arthur and her kind, who used to hold high political power in society, are now being hunted down. Arthur and her assistant Ataru, a zombie, must move from place to place in order to avoid humans but also so that they can find a way to make things go back to how it was before. Yukikaze is just a young girl but her and her friends have the incredible responsibility of being the naval force of her nation. As part of Seiran Team 3 of the Wadatsumi naval base, Yukikaze and her female friends, Isokaze, Nowaki and Takao, all attend the naval academy. But in this world, they do not work on ships, instead, they themselves are the weapons, able to travel across oceans at high speeds and engage in warfare using their equipped artillery. 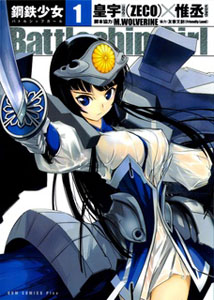 When an enemy nation attacks the base to take control of an important strategic point, only Yukikaze is left standing and all hope seems lost when a beautiful woman named Taiwa appears with the secret weapon to defend Yukikaze and the naval base. 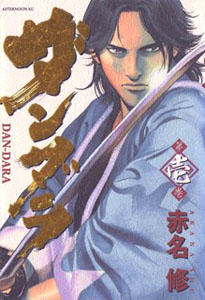 As a manga author of a semi known series, Hirahara Daichi has the talent for coming up with stories, but is incredibly lazy and irresponsible. That leaves his two daughters, middle school student Ayumi and the even younger Sora, to pick up the slack. 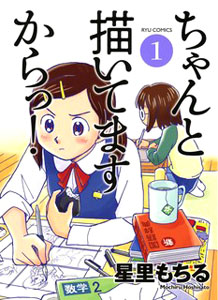 With the help of the assistant, Akane, the two kids are forced to draw and complete the series every month if they want an income for the household, a task no child should burden themselves with. On top of that, they must do this without people finding out because it will ruin the credibility of Daichi as an author and put a stop to the series. If being a teenager wasn’t hard enough, add to that the pressure of meeting deadlines for a national comic magazine. Centuries ago in Japan, the country was in turmoil with revolts against the government. It was especially bad in the capital city of Kyoto with revolutionists quickly gaining momentum. It was up to the Shinsengumi to put a stop to all of this and bring order back to the city. The famous leaders such as Okita, Hijikata and Kondo must work tirelessly and cut as many people down if they want to bring peace back to Kyoto. Akikaze Cosmos is a regular elementary student who also helps take care of the hostel that her mom operates in the town of Hanami. She is incredibly responsible for her age and seems much mature than the other older residents of the hostel, like the high school girl Soyokaze, the college drunk Sonoko, and the pervert Raita. Everything about this hostel and the town of Hanami seems normal except that everything outside of the town is a nuclear desert where no one is allowed to enter. But when Cosmos unwillingly wanders into the lifeless desert, she is somehow transformed into a magical angel. 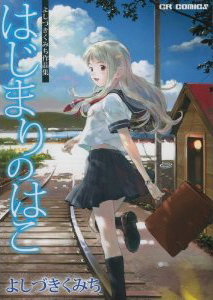 1) Irabayashi-san no Phantom Arm - Irabayashi Fumi is a cute teenage girl and the ace of the school swimming team. One day, she unexpectedly joins the occult club. Isahaya learns her secret: she's trying desperately to rid herself of two invisible 'phantom arms.' Will he be able to help her? 3) Okurimono - The brief story of Sano, a boy who dreamed of being an artist, and his first love Abe Kanako, who dreamed of being a performer. 4) Kotonoha - When Hana was little, she used to tell all the boys she liked them. One day, a demon appeared and cursed her, telling her that any boy she confessed to would die. After the next boy she claimed to like died in an accident, Hana became terrified of dooming any other boys to death. Six years later, she finds a boy she actually wants to date, but can she do so without bringing down the curse? 5) Living Quarter - Humanity has split into two forms: the winged people who live in the sky, and the ordinary humans who still live on Earth. Kae, a normal human, has a grudge against the winged people for a tragic occurrence in the past. However, Kae's mother is winged. Kae must decide whether to allow herself to become a winged person or essentially lose her mother. Taichi is a fat teenager and a horrible embarrassment to his little sister, Mika. She saves her own image by refusing to acknowledge him in public, but that won't work forever. 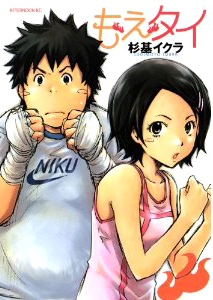 In order to solve the problem, she enrolls him at a boxing gym, hoping the exercise will make him lose weight. At first, Taichi is very hesitant about the whole idea. Soon, though, his trainer Kurata's tough encouragement makes him feel like he might actually be able to become good at this sort of thing. But while the boxers at the gym accept him as a fattie coming in to jump rope and hit punching bags, will he be able to get them to accept him as a boxer-in-training? And does he have what it takes to become an actual boxer? 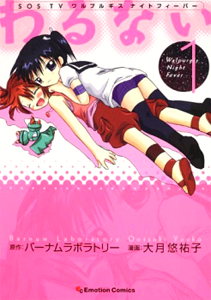 Garnet and Krys are two little girls stranded on a planet in the Walpurgis system which has been ruined by war. They wander around with their robot named Carrot having cute little war-wrecked alien planet adventures. Someday, they hope someone will hear their distress signal and come to rescue them. Moetai (Burning Fats) was probably my favorite of this week. It was kind of fun watching that poor kid gain self-esteem and skills. Hajimari no Hako had some stories worth reading, too. 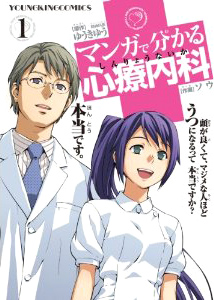 Manga de wakaru[...] was informative and funny. Arthur Pyuty was my favorite series this week. The storyline is really original. It uses the perspective of the "bad guy" or the anti-hero view of the overall plot. 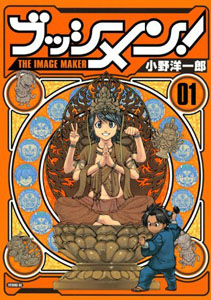 Although the content is mature and the drawings are graphic, how it shows psychology and human flaws is great. A must read for anyone and everyone. If you haven't done so already, check out the scanlations of the mangas from previous shout outs which have been recently scanlated: adventure comedy Thermae Romae (MH link), school life comedy Tsuburara (MH link), sci-fi action Btooom! 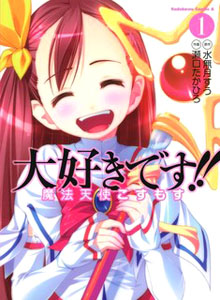 (MH link), school life comedy Yuru Yuru (MH link), school life comedy Fukashigi Philia (MH link). 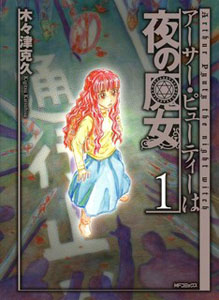 Moe-tai: Burning Girls -&- Warunai, have the same cover page on the manga shout-out article.